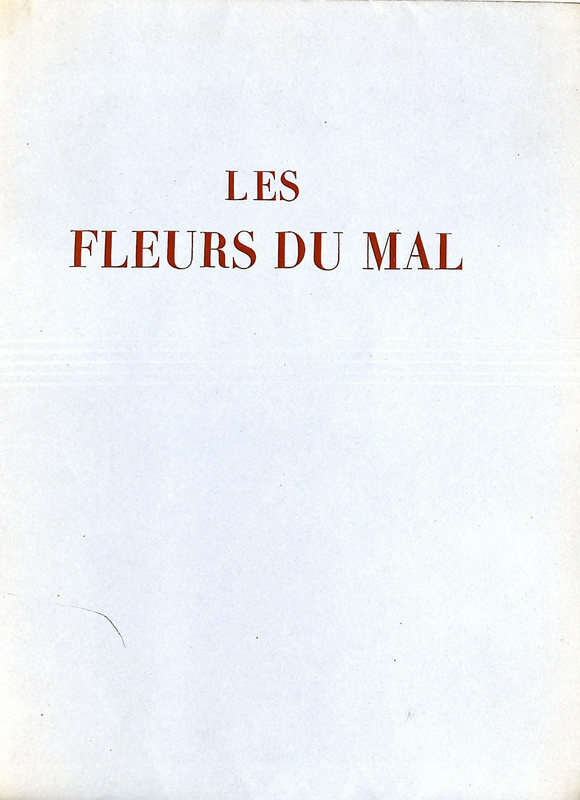 Les Fleurs du Mal; illustrées par Auguste Rodin; avec une préface de Camille Mauclair.Paris: Imprimé pour les Membres de The Limited Editions Club, 1940. 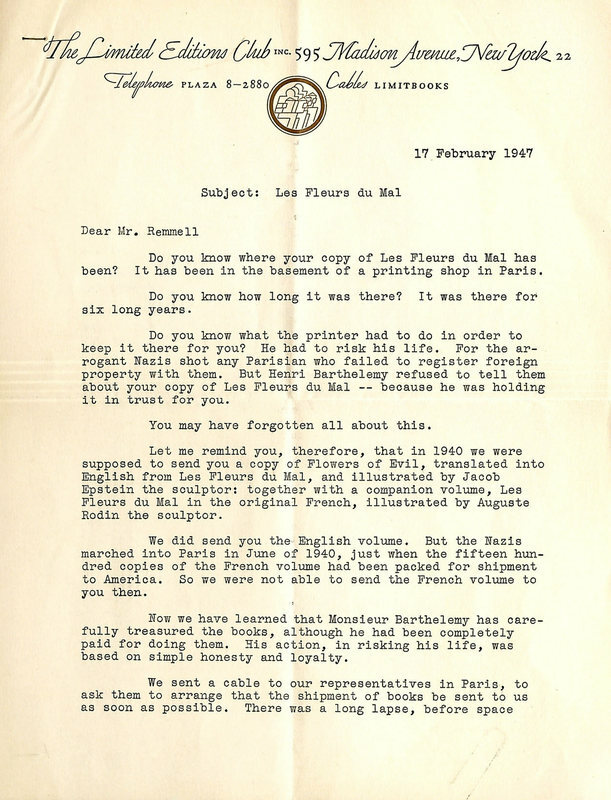 Release of this French edition was delayed seven years in shipment because of World War II, and was finally distributed to members in April, 1947. The illustrations for this edition were produced by French sculptor Auguste Rodin (1840-1917). It is unusual in that it was issued without a slipcase, in common French soft-cover format. The Limited Editions Club also produced an English translation of this poem in the same year, Flowers of Evil that was illustrated with drawings by Jacob Epstein (1880-1959). It was printed at the Fanfare Press in London. 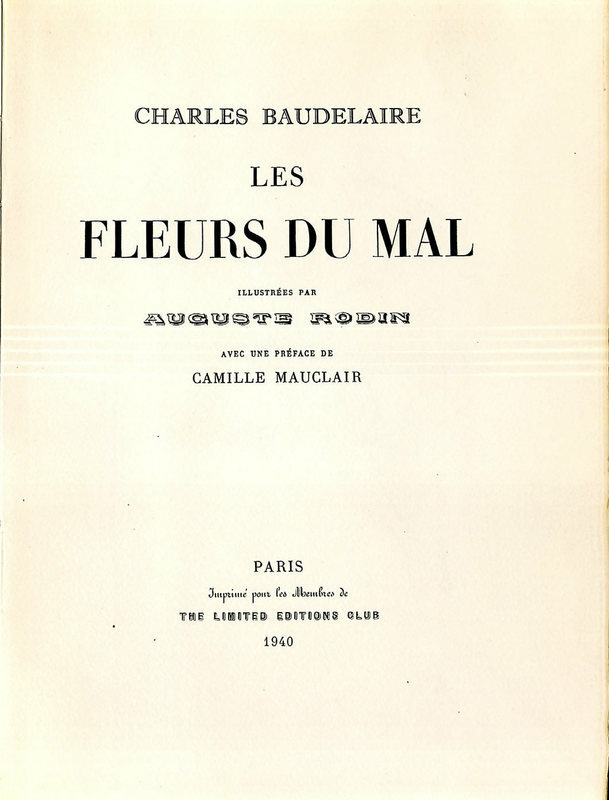 Title page of "Les Fleurs du Mal"
Printed in an edition of 1500 copies, Lehigh has copy no. 635. 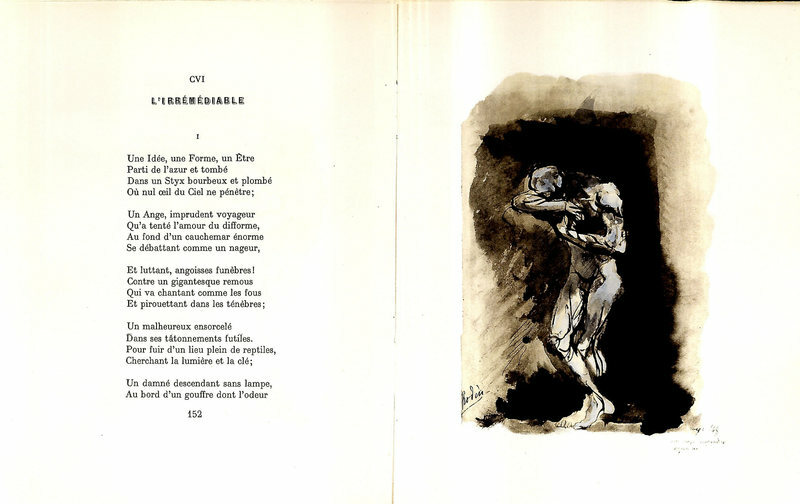 Sample Pages from "Les Fleurs du Mal"
"The illustrations for this edition were produced by French sculptor Auguste Rodin." 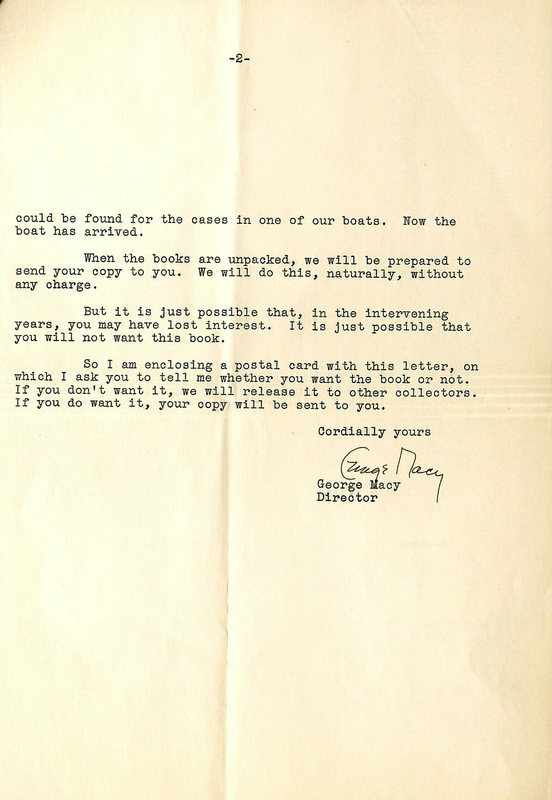 "Release of this French edition was delayed seven years in shipment because of World War II"